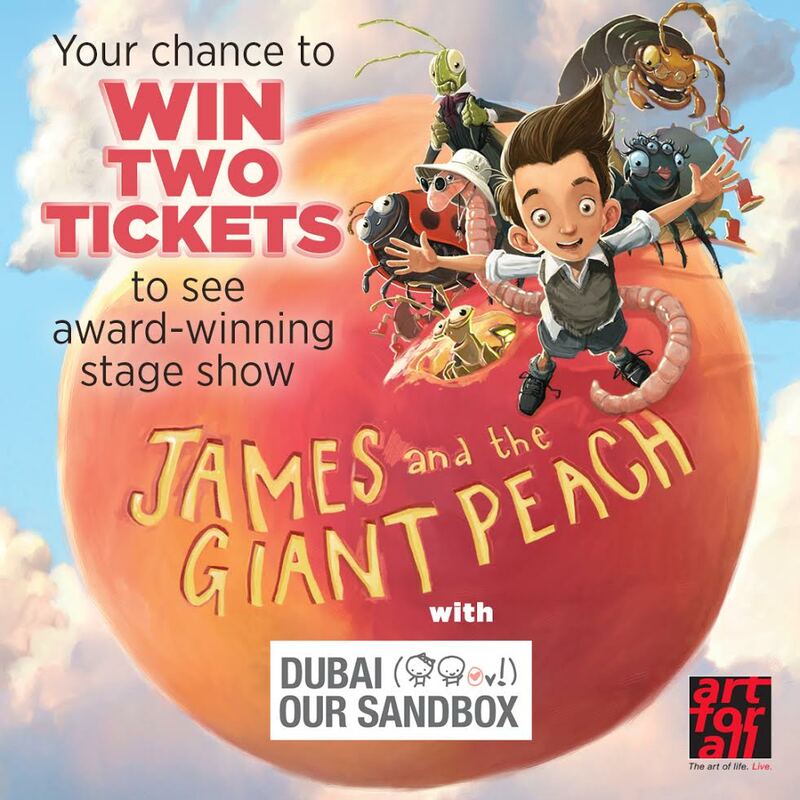 Happy to announce the arrival of JAMES AND THE GIANT PEACH in the UAE this month! 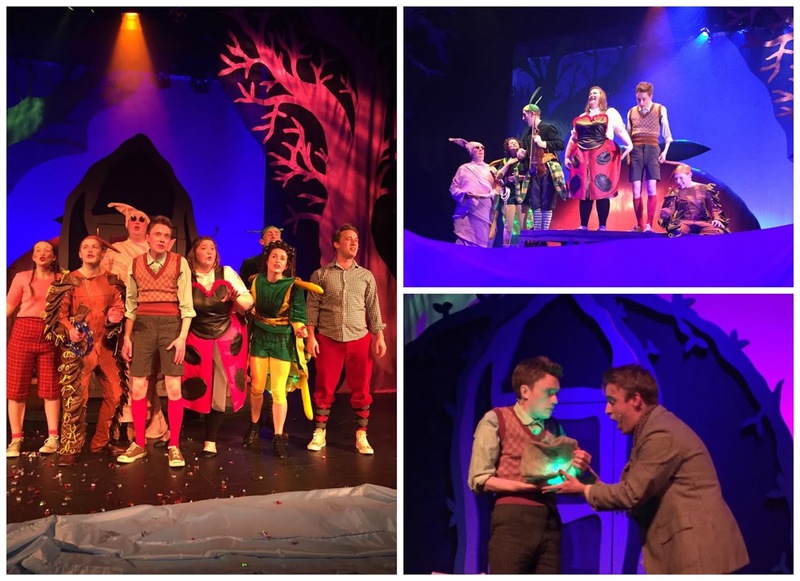 Art For All is a huge fan of the works of Roald Dahl, and they are bringing this children’s classic tale, to life on stage by award-winning theatre company, Sell A Door, and has been adapted by renowned theatre director, David Woods. The hero of the story is James; a little orphan boy who, after his parents are killed in a tragic rhinoceros accident, is sent to live near the White Cliffs of Dover in England, with his evil aunts Spiker and Sponge. Resigned to a life of misery, James’ fortunes change when he meets an old man who gives him a bag containing the ingredients for a potion. After stumbling accidentally in the garden, his magic potion spills onto the soil underneath the old peach tree, and the very next day a giant peach begins to grow. Initially Spiker and Sponge decide to capitalize on the fantastical fruit, forcing James to sell tickets to spectators, but then one night he hears someone calling from inside the peach and it’s time for the real fun to begin. From there it’s a cross-world adventure that takes James all the way to Central Park, New York, with hilarious results. Dubai our Sandbox and Art for All has teamed up to bring you the chance to WIN 2 TICKETS to the smash-hit show all you need to do is visit Dubai our Sandbox Facebook page. 1/ in the comment box answer to "Who's the author of James and the Giant Peach?" 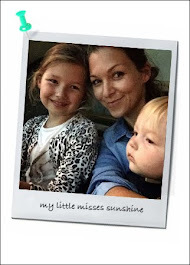 2/ follow Dubai our Sandbox and Art For All on Facebook. The winner will be announced on Thursday May 5th via Facebook.